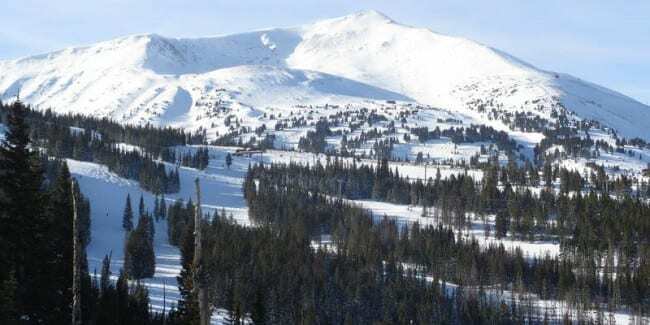 Beckenridge is one of the most visited ski resorts in Colorado and among the closest to Denver, at just over an hour and half drive. 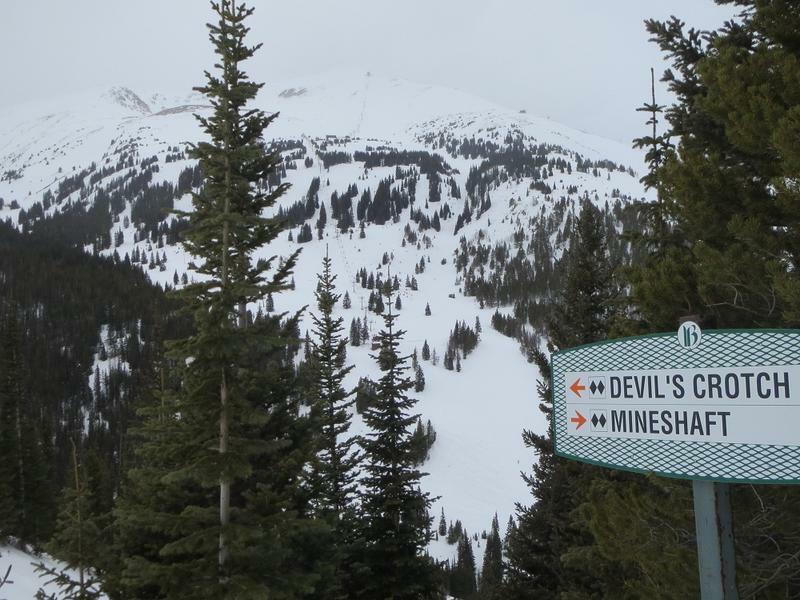 It’s a large resort with 2,358 skiable acres and 155 trails spread across four stunning peaks. 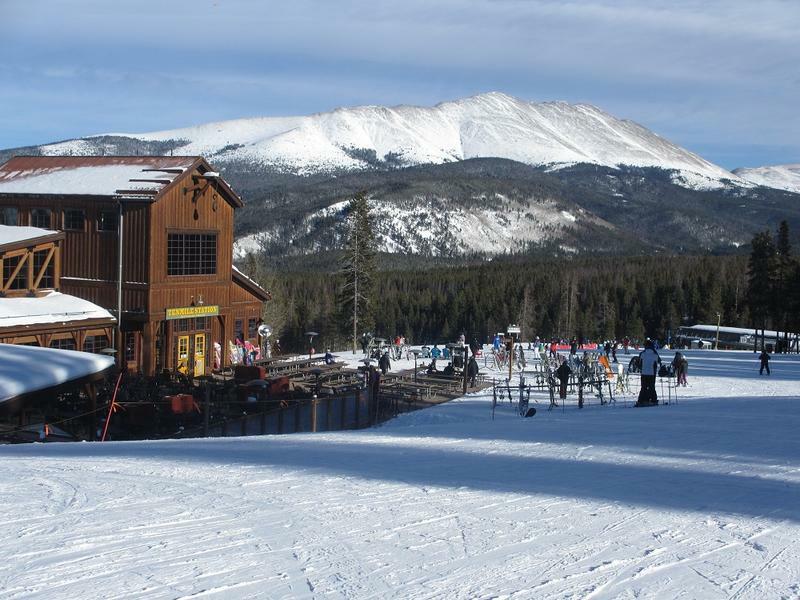 What sets Breck apart from the rest is the historic mining town of Breckenridge. 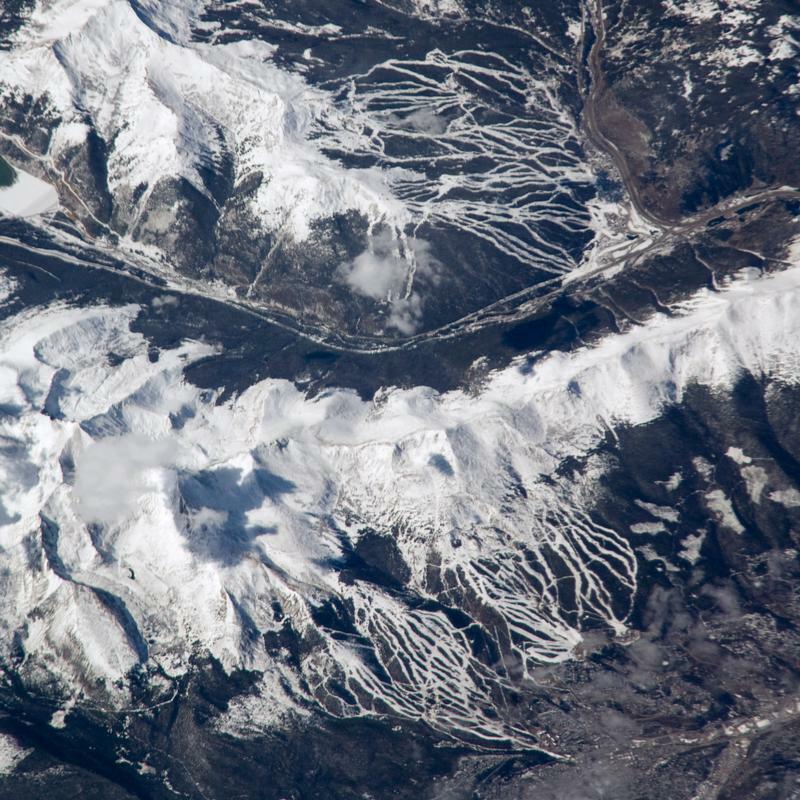 It’s easily one of the nicest ski towns in Colorado. 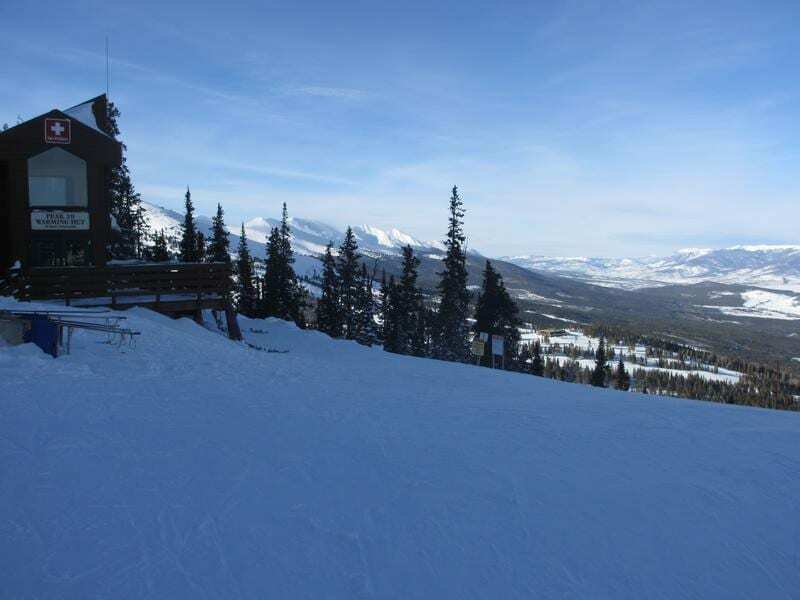 ​Breckenridge Ski Resort is laid out over Peaks 6, 7, 8, 9, and 10. Peak 7 is full of intermediate blue slopes and a good bet if you’re looking for slightly steeper groomers. 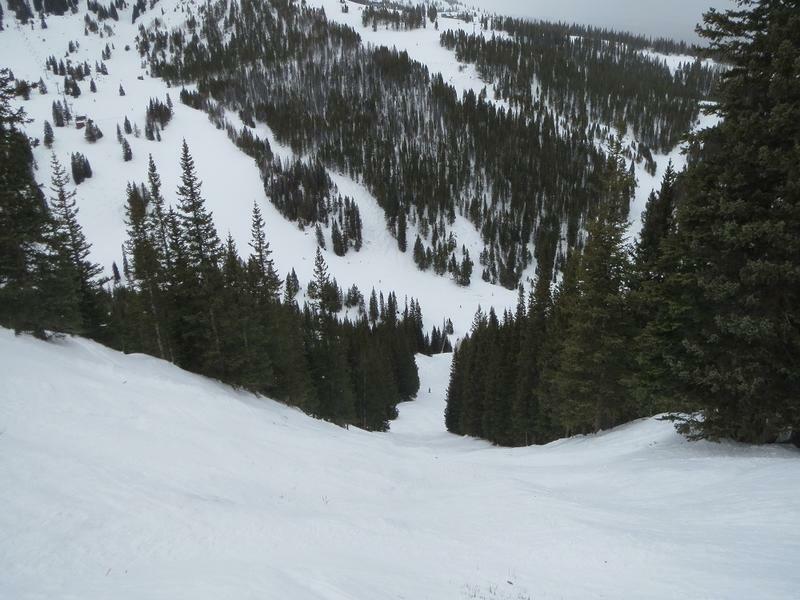 For open bowl skiing, take Lower Forget Me Not and make your way to the T-Bar. This will take you up above the tree line. 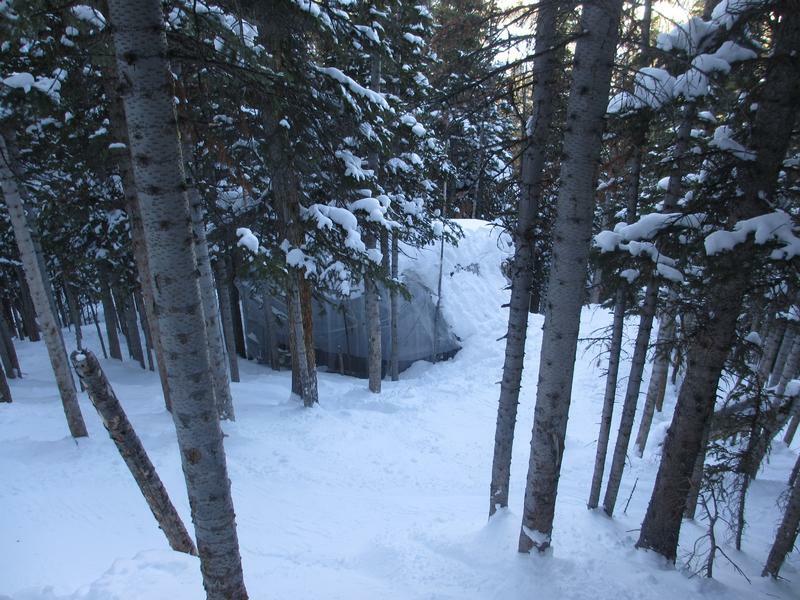 Beginner skiers and riders will have a fun time on Peaks 8 and 9, which are both full of green and blue runs. Both peaks will take you down into a mountain village at the base. 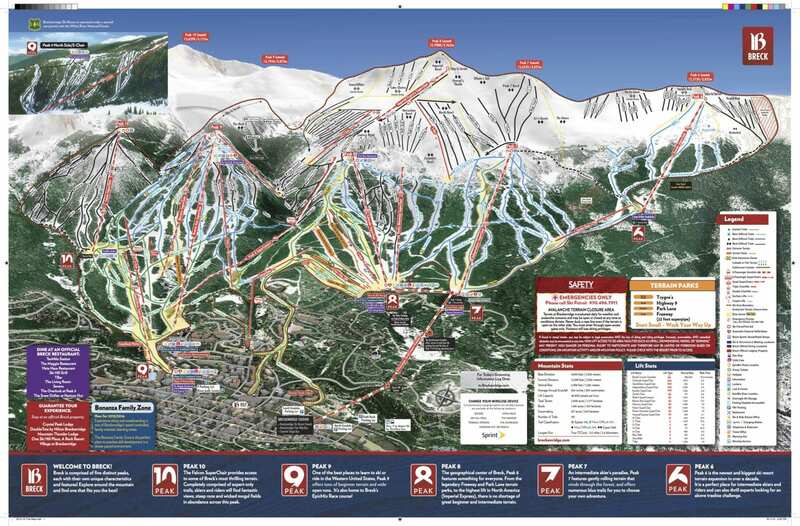 Experts head to Peak 10 for steep, fast groomers, tree runs and bumps. 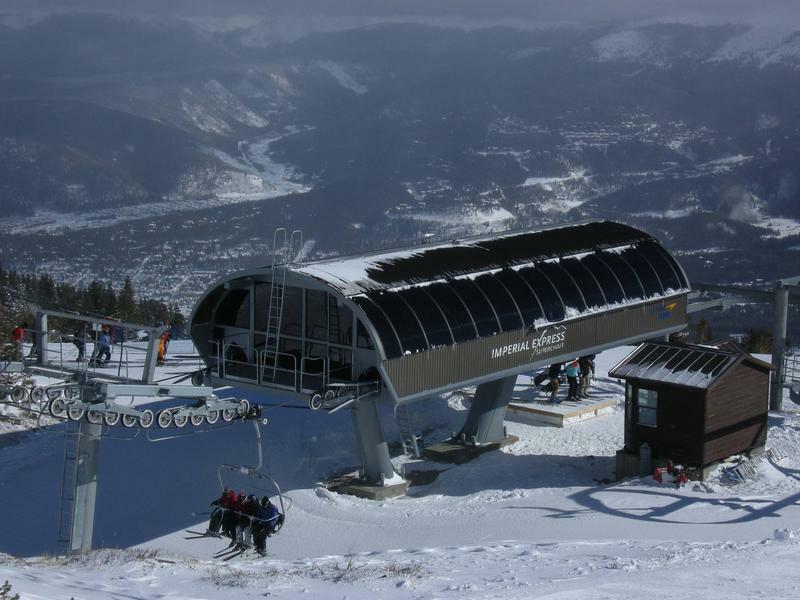 For the real challenge at Breckenridge, you’ll need to make it up the Imperial Express Super Chair to the Summit of Peak 8. 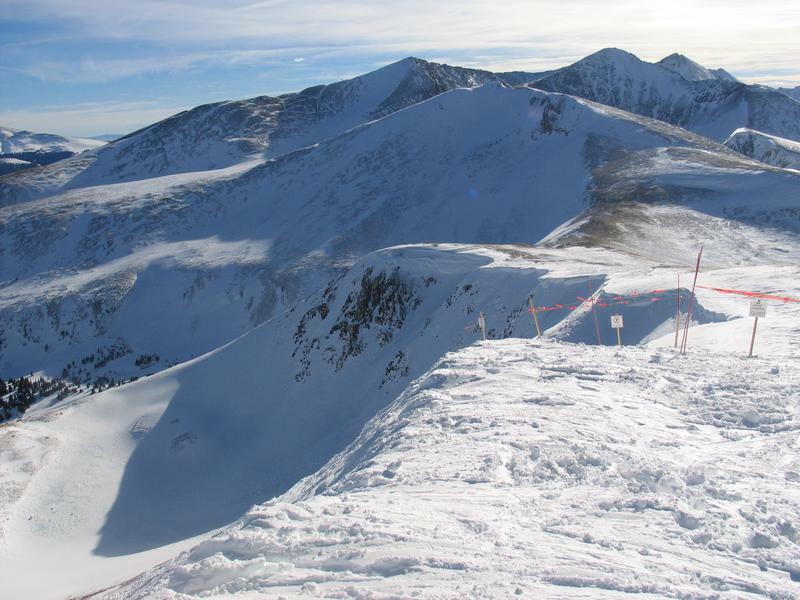 You can hike higher, traverse over to Peak 7 summit or just drop in for some bowl skiing. 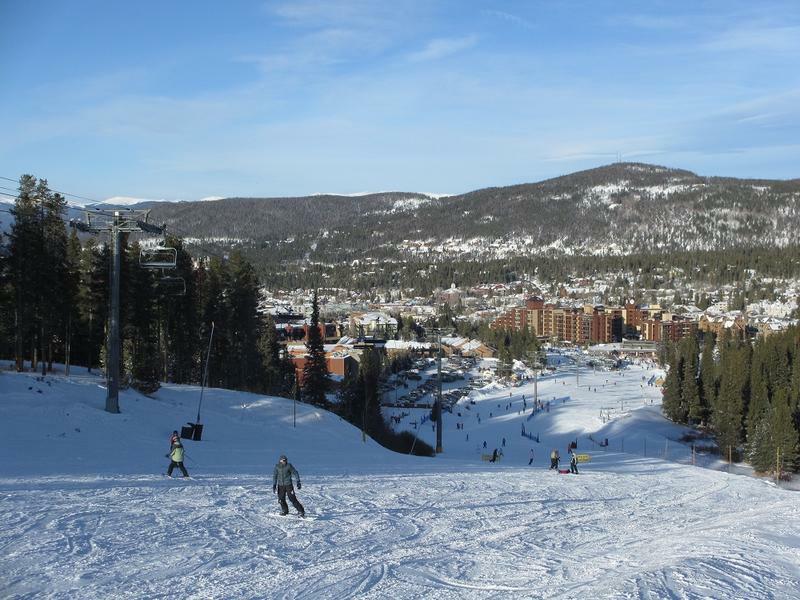 For freestyle skiers and riders, Breckenridge has several terrain parks of varying size and difficulty. There are five terrain parks and two half-pipes, making Breck’s parks some of the best in country. 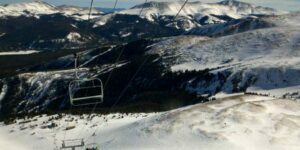 If you are still looking for more mountain, Keystone Resort is close-by and all part of the same lift ticket. Take the free direct shuttle service if you need a lift, otherwise parking at keystone is free. 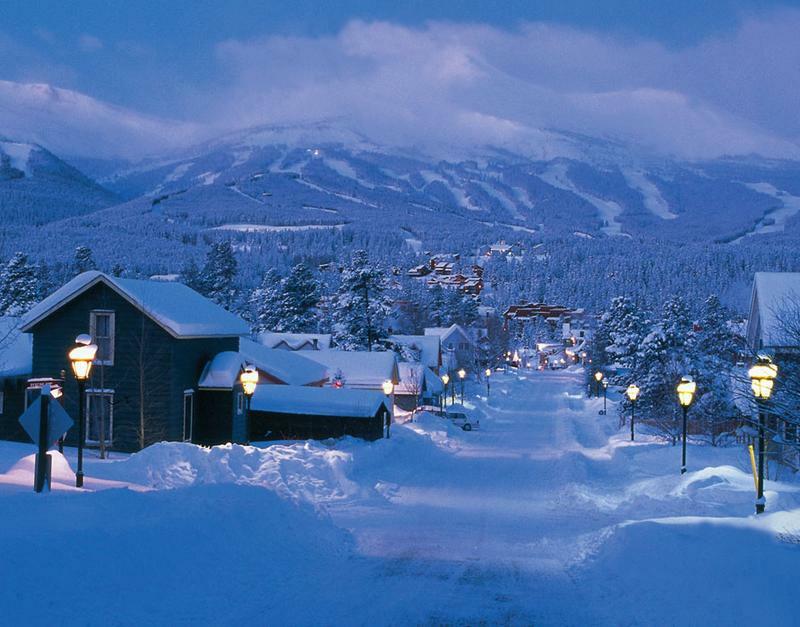 Breckenridge is one the largest historic districts in Colorado. 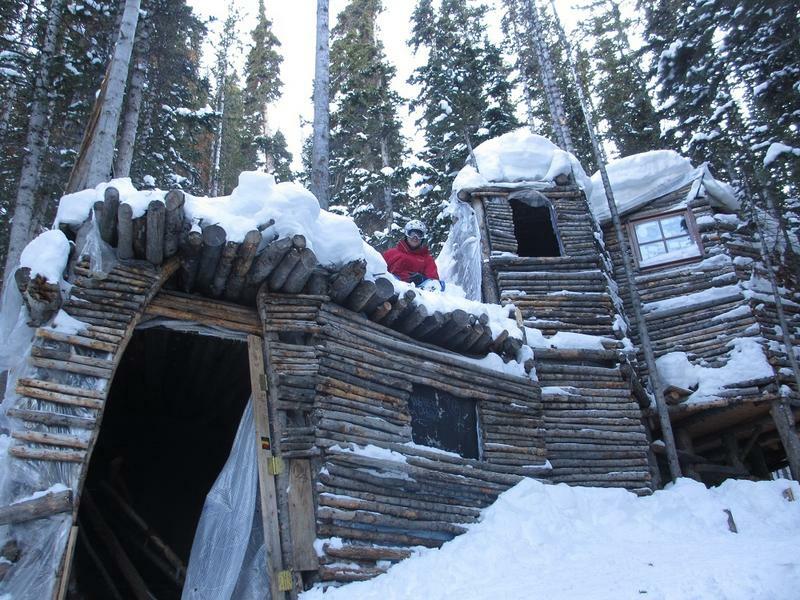 It was founded as a mining camp and years later transformed into an all seasons resort town. The main streets of Breckenridge are lined with nice shops, restaurants and bars. 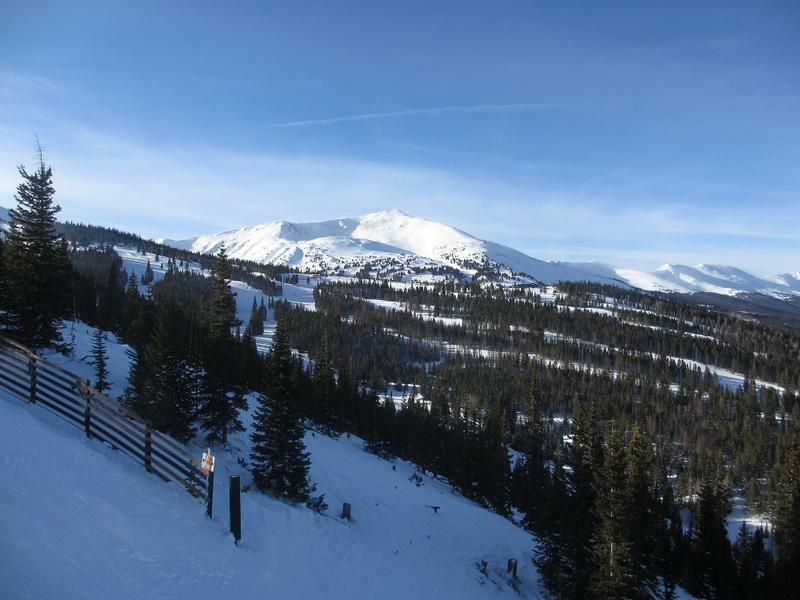 The after ski scene at Breckenridge is the best in Summit County. And the area is host to numerous other winter activities, from dog sledding to ice skating. Lodging is available throughout town and the neighboring towns of Summit County. You can find all all levels of lodging, from five star hotels, b&b’s, to right priced motels. The closest snow tubing is in Frisco at the Adventure Park. Paid parking is mainly what’s available at Breckenridge. Parking starts at $5/day and up, but may be $10 and up on weekends/holidays. Free parking is available somewhere probably. One of the closest fee parking areas is at the base of Peak 9. Peak 10 of the Ten Mile Range. Looking across at Peak 8. Skiing into Peak 9 base. 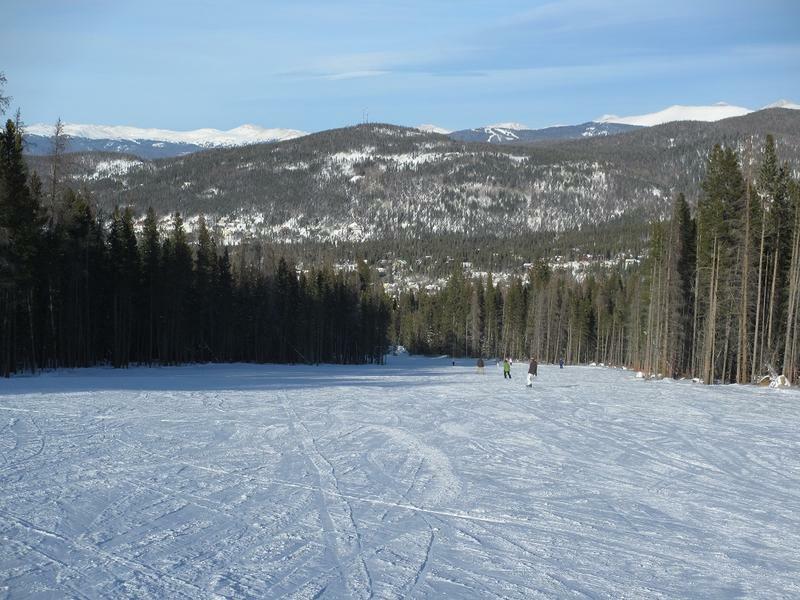 Most of Breck flattens out near the base. Aerial view of town and the Blue River Valley. Trees at Breck are pretty tight. Bowl skiing off Peak 8. 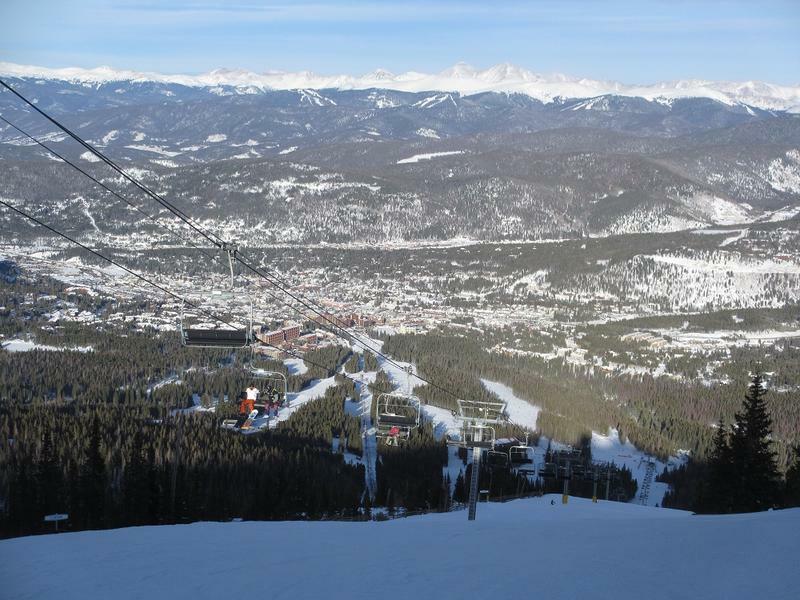 Aerial view of Breckenridge (bottom) and Copper Mountain (top).